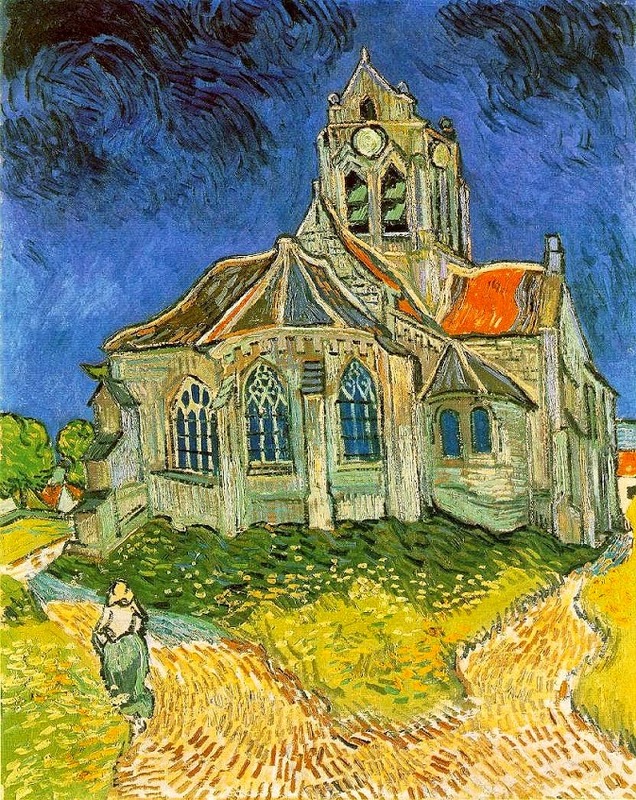 painting by Vincent van Gogh (1853-1890). van Gogh did view paintings, along with figures and still life, throughout his career; but the development of his signature style in France raises an interesting question about the interaction of place and image. The time of day is a mystery here: the path seems lit for the passer-by, but the sky could hardly be more dark. Is it an accident that the artist has left the clock face blank?